The information posted on this page has been provided for your convenience. While the information is considered to be accurate and correct at the date of publication, changes after this time may impact on the accuracy of the Information. The Town of Fort Smith is located on the NWT and Alberta border, about 725 Kms north of Edmonton. Wood Buffalo National Park straddles the border with a most of the park located in Alberta. Fort Smith has daily scheduled flights (except Sat) from Edmonton or Yellowknife. The locally owned airline, Northwestern Air Lease offers discounts to registered participants. For details on discount fares, call TAWBAS at (867) 872-0243. NWAL uses a Jetstream 31 for its daily scheduled flights, it is a 15-passenger pressurized turbo-prop aircraft. 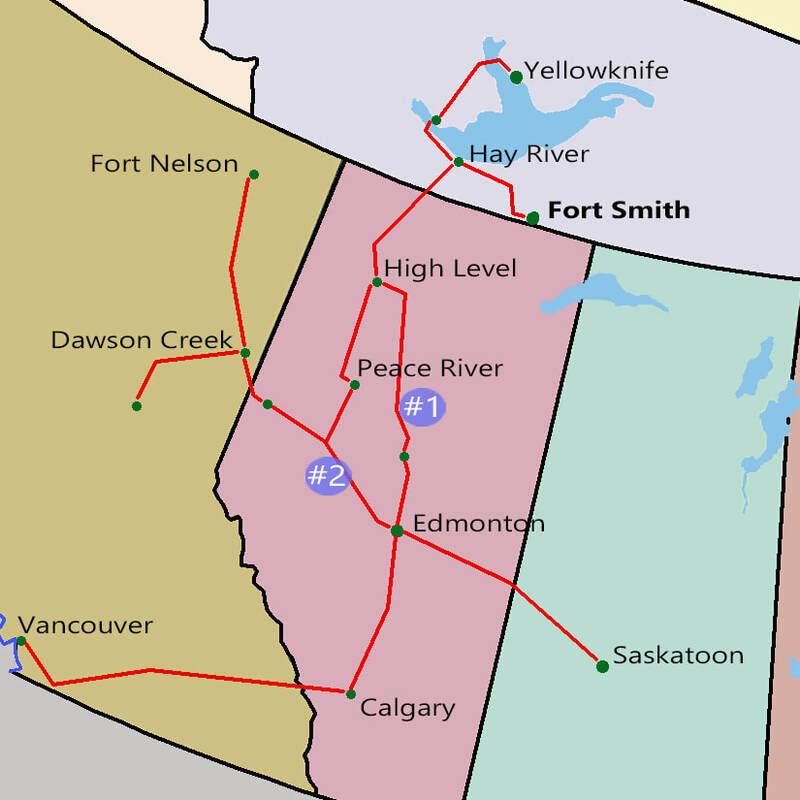 Fort Smith has highway access via northern Alberta. Travelling to Fort Smith by bus is a bit of a challenge but is an option for those seeking adventure. From Edmonton it will require changing carriers. There is also service from Yellowknife. Fort Smith has 2 hotels and several B&B options for your accommodations.